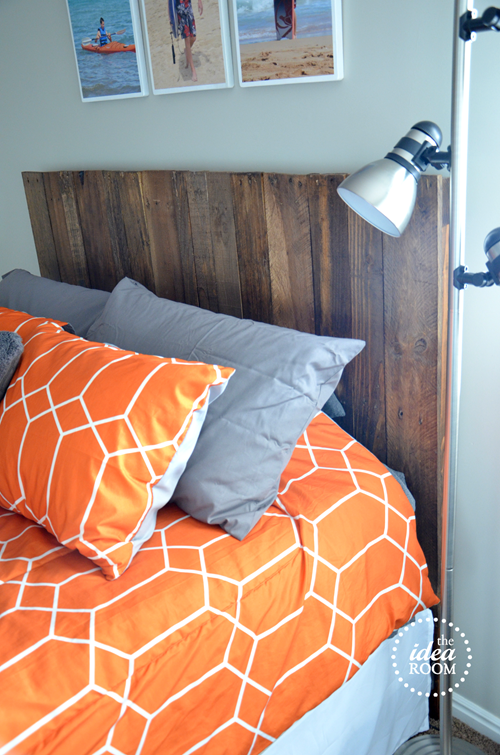 So…I promised this DIY Pallet Headboard Tutorial that we made for my son’s room, several weeks ago…oopsie. 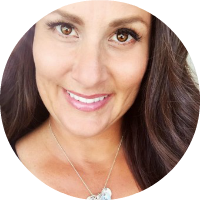 I don’t know what took me so long to finally share this…but nevertheless…here it is for those of you who are interested. 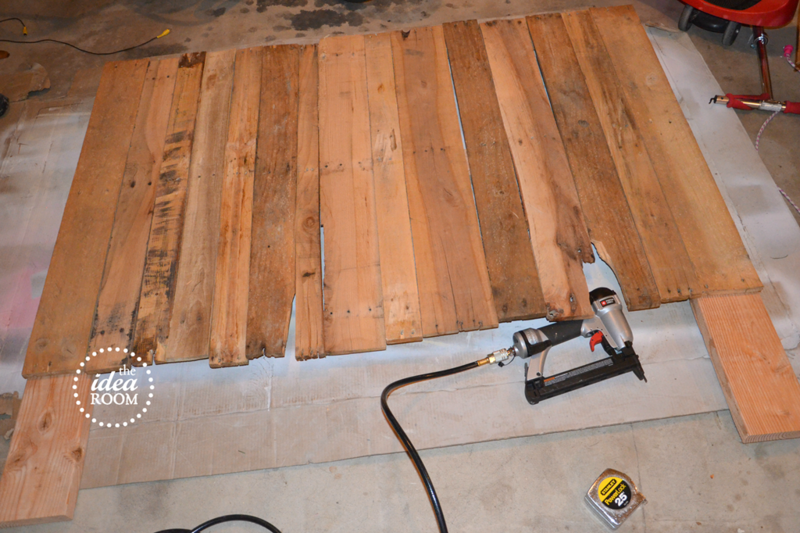 I decided to build the headboard after seeing my friend Char from Crap I’ve Made’s pallet headboard for her daughter’s room. 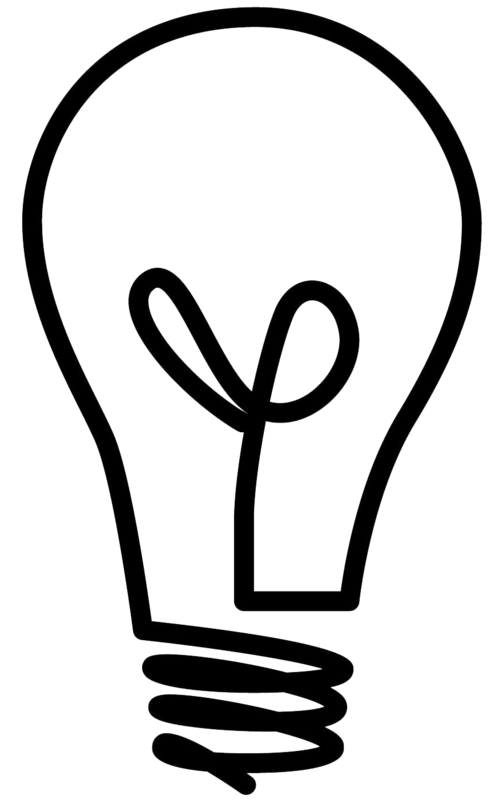 This is one of the simpler projects we have made. The hardest part is getting those darn pallets boards off the frame. Those nail/screws are brutal. We pried a few off and then just ended up chopping the boards off of the pallet with a chop saw…so much easier! 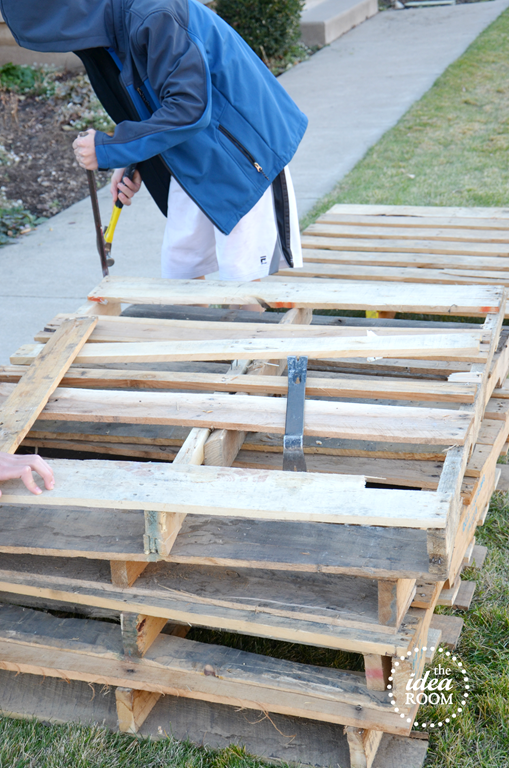 Some people have raised concerns about possible chemicals in pallets. If this concerns you, simply use other boards. You can also google how to make new wood look old. We made the frame by placing the 61 inch 2×4 piece at the top and 2×6 pieces on each edge of the 2×4. We then placed the bottom of the 50 inch 2×4 28 inches from floor end of the 2x6s. Then you will need the plywood pieces to provide support to the connections of all the pieces (we inset the plywood ½ inch from the top and side to make the piece hidden from view on the completed head board). 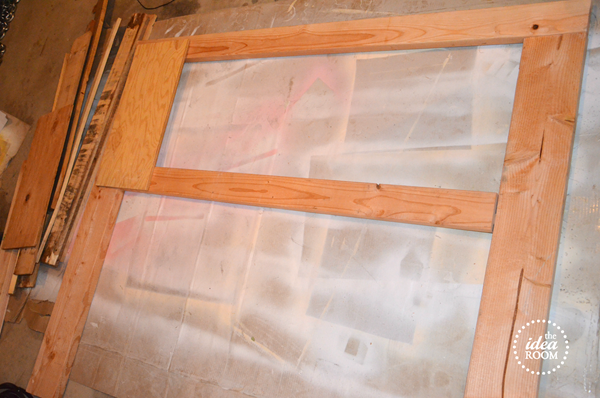 Flip the frame over and lay out the pallet boards on the frame (we had the top and sides over lap the frame by ¼ inch). Use wood glue and a staple or nail gun to adhere the boards to the frame. Stain and varnish completed the finish. We drilled holes (aligned with the bed frame) in the bottom of the 2×6 posts of the headboard and then bolted the bed frame securely in place. That’s really all there is to it. Such an easy project and it has been perfect in my son’s room. 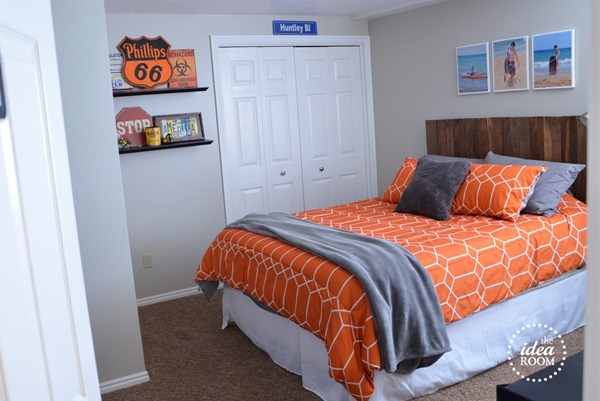 To see the entire room reveal you can go here: Boy’s Room Reveal. We also made a fun Pallet Map for my son’s room. You can see that here: Wood Pallet Map. Great idea! Love the way this turned out! I am redecorating our bedroom, and am thinking this would add a great rustic feel to the French Country design I am leaning towards. I think that would look awesome too! A fun way to add some texture to your room! SO want to try this! You totally could do it Emily! Love how it turned out and it looks great in his room!! Love it!! Thanks Crystal! I really appreciate it! Are the measurements you used for a queen bed? (It looks that size in the pics.) Planning on doing this in my son’s room at the house we’re building. I’ve been scavenging the pallets out of the dumpster at our lot. The workers must think I’m nuts, lol! haha! I know the feeling all to well! Yes…the bed is a queen size bed so the measurements should work for you. Hope you can find all the pallets you need! Would love to see a picture of it if you get it built. Thanks Kirsty! I wasn’t so sure about the orange bedspread :) But I really am liking it now! Thanks for stopping by! It really looks great. Just fits perfectly in the room. 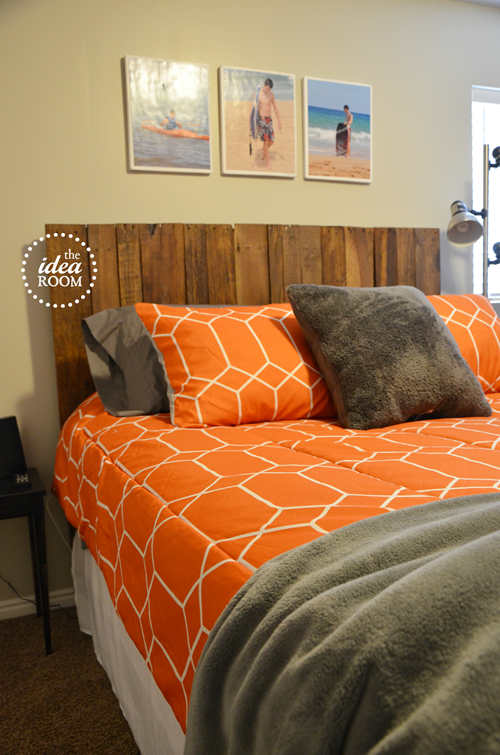 Love the reclaiming the pallet into an awesome headboard!!! Thanks so much Meg! It was a fun project and I can’t believe how easy it was! Yay! Yes! I can’t wait to see it! I love the bedding!! love this! was just going to spend 500.00 on a headboard but then I stumbled across this….so excited. 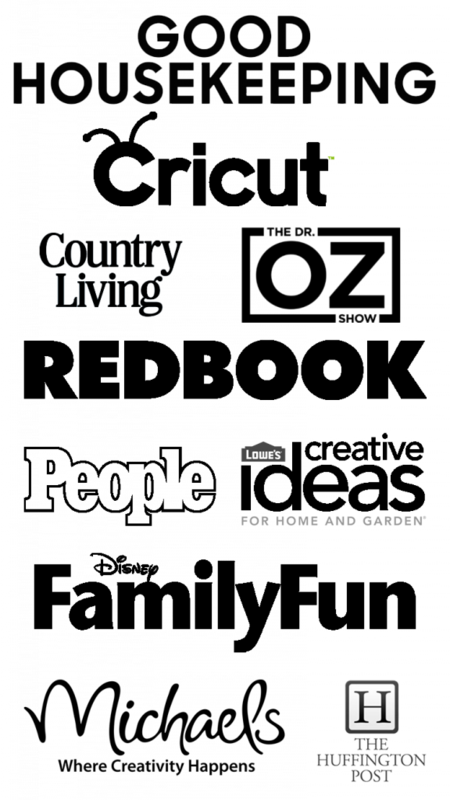 What brand and color did you use for stain and varnish. any ideas where maybe I could pick those pallets up at?